As expected, it looks like the Kriseman Administration is about to attempt yet another Hail Mary in the continuing saga of the new St. Pete Pier. On Thursday's Council agenda is the new Pier Park design for approval, the construction manager contract for approval and the Pier demolition contract for approval. None of these items has been seen by the public, there has been no formal presentation for public information or comment, the City's New Pier Web site has not been updated since May and my guess is Council will get final details as late as Kriseman and Connors think they can get away with. What does the "in budget" Pier Park really look like? Where are the renderings so the public and the Committee that so aptly recommended this design could compare reality with the BS they were sold? Will the County issue the needed permits? Will the State issue the needed permits? Not Just Connors saying so has the state seen the new design? What about the bond issue? How much? When? Who? If it's so the Mayor can have Pier Park as a second term campaign bragging point, believe it when I say by the time Kriseman thinks about running for a second term the Pier will be the last thing he wants to talk about. No, the rush is all about getting ahead of a potential referendum. 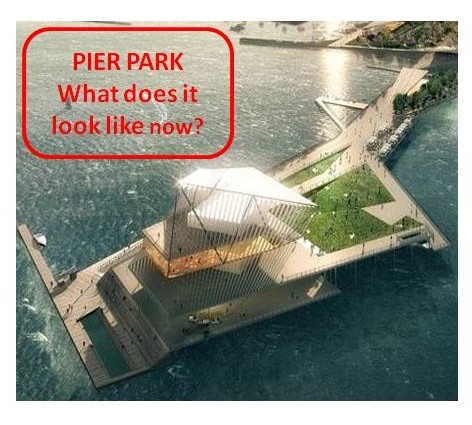 Hold the defrocked Pier Park design details as long as possible, get the Pier demo started before the referendum so the outcome cannot affect the Pier which will lower turnout and improve the chance the referendum may fail. Back City Council into a corner with a bunch of hyped up claims that if they don't move now, some great calamity may happen, like a referendum. Somebody in the Kriseman administration needs to explain why they don't want the people to have a voice. And don't give me, or the public, the BS that they already had their chance. Not on this version of the design. City Council must also consider they are being hustled into spending almost $50 million for something a majority of the people don't want. There is no rush. Let's put the final design on the table and let everyone have some time to look it over and comment. Who knows? Maybe of couple of tweaks and everyone's view might change. For now Mike Connors is going to back a truck up the Council dais and dump a load of crap backed up by his folksy rhetoric and thinly veiled threats if action is not taken now. There is little honor and no shame in the Kriseman administration. They manipulated the Pier process and the Selection Committee and now they will try to manipulate the City Council. Council should table this whole package, hold a couple of public comment sessions and give the public some time to weigh in.